memorable day with a sleepover with nine other girls! smiles, laughter, and memories of good times! Janet. Wanted to tell you that I’ve read the book to Brooke this evening and we just loved it! Very clever. I know she’ll want to do it again tomorrow. She’s 5 1/2 and can read most of it too. NICE JOB, Girl! My amazing, dear friend Janet Clark-Jones published her first book was doing a personal book signing today at Barns and Noble! It’s the most darling children’s book! Easy, simple read with some great illustrations my kids loved it:-)!! So proud of her and her amazing talent. Love you Janet! 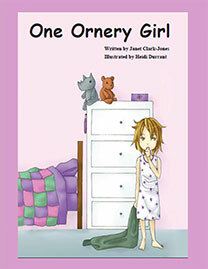 Very engaging children’s book with interactive counting, finding, matching, and alliterations that every girl seems to enjoy. A must purchase for girls from preschool through 1st grade. My daughter loves this book! She had so much fun reading it and finding the rhinos. Beautifully illustrated and written book! Love the multiple layers of learning for my kids! Highly recommended! When reading this book to your children you will feel the heart and soul of the author come out right before your words. This educational book is beautifully illustrated and loved by the children who hear the story and interact with the many pages of fun alliterations, matching, and counting.